Herniated Discs is a common problem that is also known as a Slipped Disc or a Ruptured Disc. When a disc is herniated the inner, softer portion, of the disc pushes through a crack in the outer edge of the disc. This causes different symptoms such as pain, and numbness. Many people report having weakness in their arms and legs. It could also cause tingling in the arms, hand, legs, and feet. A Bulging Disc also aggravates the surrounding nerves by putting pressure on them. However, unlike the Herniated Disc the Bulging Disc is not cracked. Bulging Disc symptoms are like the Herniated Disc where it causes pain, weakness, and numbness, as well as tingling in arms, hand, legs, and feet. Chiropractic relieves these symptoms by correcting the issue with the spinal joints. 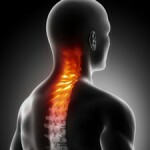 When you receive Spinal Manipulations it brings your spinal joints back into proper alignment. These Manipulations of your Spinal Joints are what eases the symptoms and brings pressure off of your nerves. Chiropractic also helps improve the biomechanics your Spine. Meaning you’ll be able to move better. But Beware! You’ll be feeling so much better you might be tempted to do activities that you haven’t done in a while. You may have to go easy for a little bit while you heal- you don’t want to reinjure your spine. Before you know it you’ll be able to do all your favorite actives and more. Herniated Discs and Bulging Disc are one of the most common conditions that Chiropractors treat. Experience the relief for yourself. Contact our office to schedule your consultation.